At Interbuild Limited our commitment to excellence begins with our quality control process, trained and experienced staff, and application of the latest technology. All project details are managed, engineered and constructed with our client’s shared vision of timely completion and valued expectations. We provide a turn-key structural solutions for residential, commercial, and institutional projects. 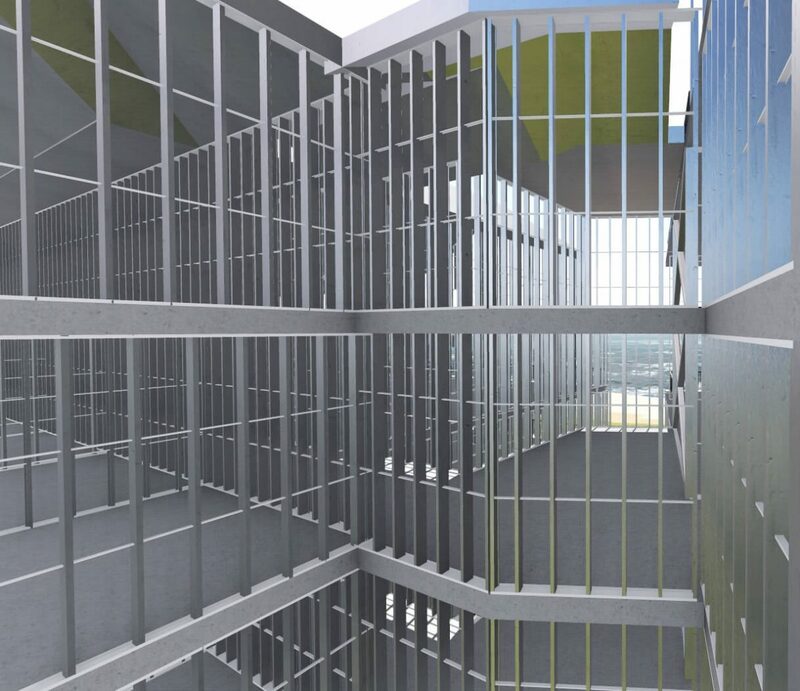 Our engineered Cold-Formed Steel Prefab Wall Panels are prefabricated in a controlled environment with exceptional precisions using the latest BIM technology both in design and fabrication. This eliminates any errors which allows for efficient erection of panels in turn enabling us to Fast Track project construction with expediency. 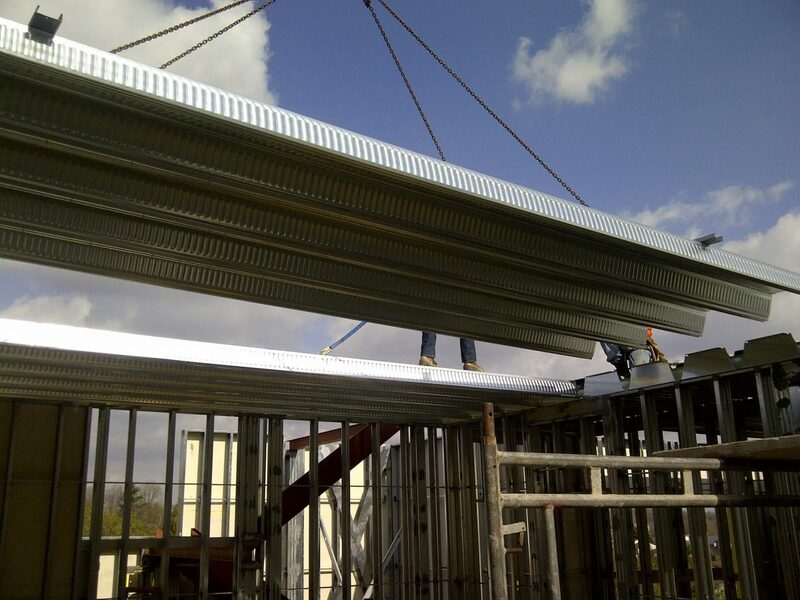 We are the only cold-formed steel prefab company in Ontario with in-house engineering, in-house prefabrication, and in-house on site installation. We provide services from estimates to design and engineering shop fabrication of CFS walls, erection of floor systems and structural steels. This include supply of all the labour and equipment for project construction. We designed our CFS wall panel assemblies & floor systems using 3D modeling software for easier coordination and adjustment. This enable us to provide our client with swift fabrication and eliminates an site errors. 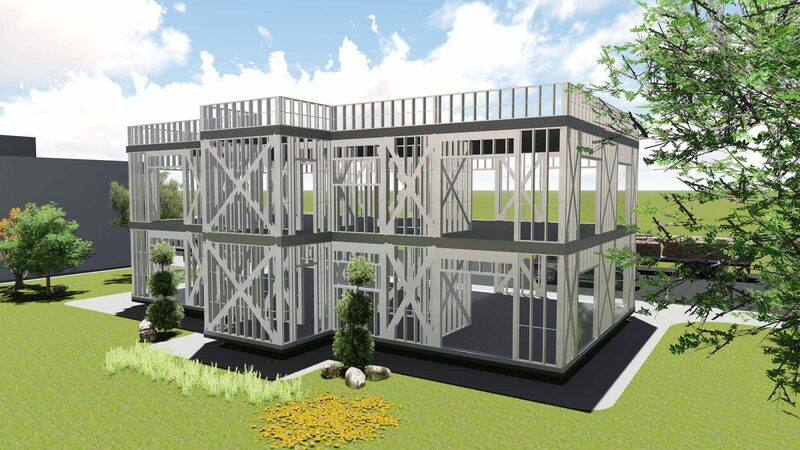 Our shell package includes complete enclosure of the building envelope using our cold-formed steel wind bearing wall system ready for application of finishes by other trades. Our engineered & Preassembled Cold Formed Steel wall system provides speed and efficiency resulting in savings to owners, builders and end users. Cost effective and easy to install. Lighter systems than conventional concrete structure resulting in lighter foundation. Using Computer Aided design and BIM, we provide an accurate and in depth project budget proposal and flexible project design.